In this capacity, she will also help manage the coordination of sales strategy including BGC's hybrid brokerage model. BGC Partners, Inc. (NASDAQ: BGCP), a global brokerage company servicing both the financial and real estate market, has appointed Anja Hinds as its newest Director of Hybrid IDB eSales, according to information made public on her Linkedin profile. In her new role at BGC Partners, Hinds will be based out of Singapore. In this capacity, she will help manage the coordination of sales strategy across BGC Partners, and most notably its hybrid brokerage model, focusing on the APAC region. She lands at BGC after a lengthy career in the banking industry, extending back to 2006. 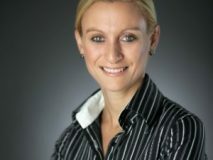 Prior to joining BGC Partners, Hinds worked at RBS Markets as its head of FX Prime Brokerage sales for over five years, where she focused on hedge funds, asset managers, family offices and institutional platforms. Her tour among major lenders also saw her serve as FX Prime Brokerage Account Manager at UBS. During her six-year term with the Swiss investment bank and financial services group, she acted as the primary point of contact for covered hedge funds with regard to daily trade flow, collateral, margin calculations, and settlement management. Anja’s first broke into the banking scene was 13 years ago as an analyst of financial services at Accenture. According to recent reports from BGC Partners, the foreign exchange revenues for the brokerage were $90.7 million in the third quarter of 2018, jumping by 8.1 percent year-on-year from $83.9 million which was recorded in the third quarter of 2017. Energy and commodities revenues were also up by 20.2 percent. This saw revenues go from $48.2 million in Q3 of 2017 up to $58 million in the third quarter of 2018. Overall, total brokerage revenues experienced an uptick of 6.1 percent year-on-year, coming in at $425.3 million.